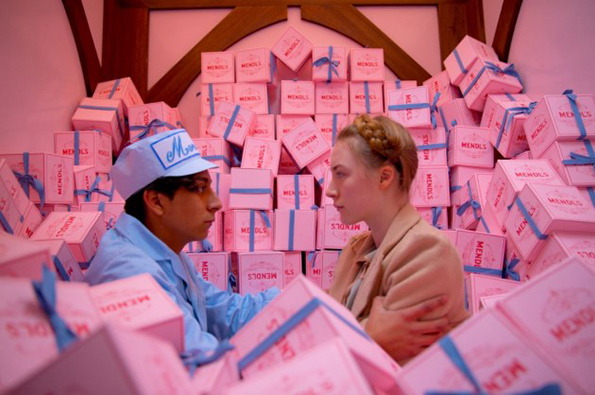 We always appreciate seeing good graphic design in film, so we thought we’d share some of our favourite design moments that we’ve come across. Have a favourite that we missed? Give us a shout in the comment section below! Inspired by the minimalist design work of Saul Bass, Steven Spielberg wanted the opening credits of ‘Catch Me if You Can’ to evoke the 60’s era. This introduction perfectly matched the feel of the film’s 60’s-set story, and sets the tone for the rest of the movie. Using a minimal colour palette and hundreds of mini stamps to create each character, French designers Olivier Kuntzel and Florence Deygas spent 4 months producing the certainly memorable opening credits. The painstaking process of creating “Loving Vincent” is evident in this trailer – You can only imagine the time it took to make even one scene. Using the talent of over 100 artists from around the globe, ‘Loving Vincent’ is made up of over 65,000 paintings, all seamlessly put together to create this beautiful film which honours the life of Vincent Van Gogh. Another Spielberg creation calls for another great opening sequence. ‘The Adventures of TinTin’ opens with a playful animation by James Curran who took ideas and images from 24 books by the author, Hergé. We love the combination of movement, minimal stylings and typography in this great film opener! Saul Bass’s iconic design aesthetic paired with Hitchcock’s classic film stylings are a match made in 60’s heaven! This minimal and typographic opening sequence for ‘Psycho’ manages to create a feeling of contrast and tension, especially when paired with the opening score music by Bernard Herrmann. The effect of the lines cutting through the text fits perfect to the theme of this classic horror film. 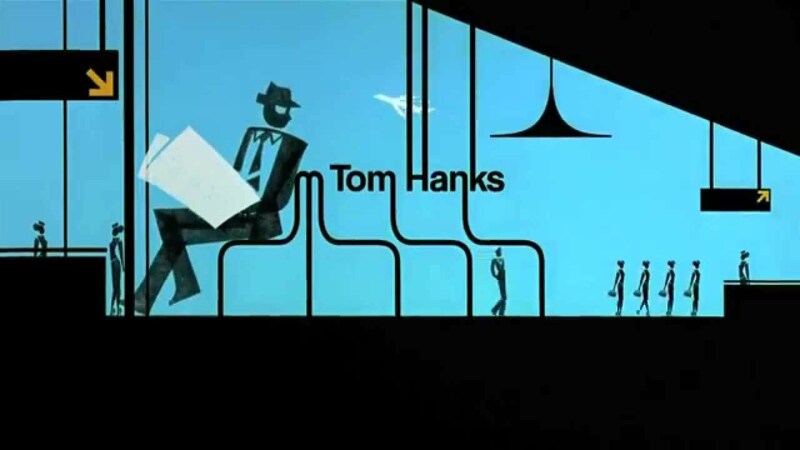 Another sequence that was influenced by Saul Bass is the opening credits for HBO series ‘Mad Men’. We love the juxtaposition of the cut-out character in simplified surroundings, with the 60’s era advertisements. James Bond films always have a visually enticing opening sequence, but one that showcases graphic design in particular is the sequence for ‘Dr. No’. Art director Maurice Binder combines a modern aesthetic of flashing coloured dots, with a ‘swinging 60’s’ aesthetic of overlayed colourful dancing figures to create this eye catching sequence. Classic Disney movies always begin with opening credits, but one of the first films of his to use animation in the credits was ‘101 Dalmatians’. Gone was the fully painted title cards and in was a new fresh look – a look that was meant to keep Disney remaining relevant. Playful abstract shapes, with selective pops of colour and a jazzy score was the perfect way to liven up the Disney brand. Full of logo-like designs, the music video for Husbands ‘Dream’ was created in a way you probably wouldn’t have expected. Check out how the video was made on creator’s Cauboyz’s Vimeo. Last on the list, but certainly not least is this short animation created in collaboration with Jerry Levitan, director Josh Raskin and illustrators James Braithwaite and Alex Kurina. A beautiful combination of illustration, text, and collage overlays an interview that 14 year old Beatle fanatic, Jerry Levitan recorded of John Lennon in 1969, when he snuck into Lennon’s hotel room.